Josie Badger says people with disabilities have significant roles to play for next generation by being active participants in society and role models for other with disabilities. 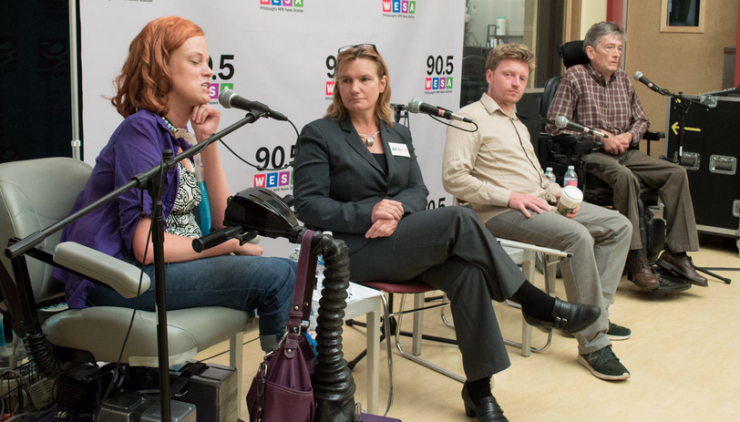 Josie, along with three other panelists, participated in a live forum hosted by 90.5 WESA and Essential Pittsburgh in recognition of the 25th anniversary of the Americans with Disabilities Act. The discussion focused on the impact of the ADA and the barriers that still remain. Paul O Hanlon is a disability rights attorney and member of the City-County Task Force on Disabilities. As someone who was an adult prior to the passage of the ADA, he described the experience of people with disabilities in a world before curb cuts, leaning buses and other physical changes. The panelists agreed that these alterations helped make communities more accessible to people with disabilities, however many of the issues surrounding the ADA today were unable to be legislated. 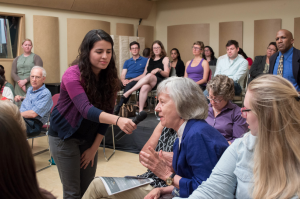 Badger, who uses a wheelchair and a ventilator, discussed her experience as a member of the “ADA Generation,” those who have lived all or most of their life with the ADA in place. 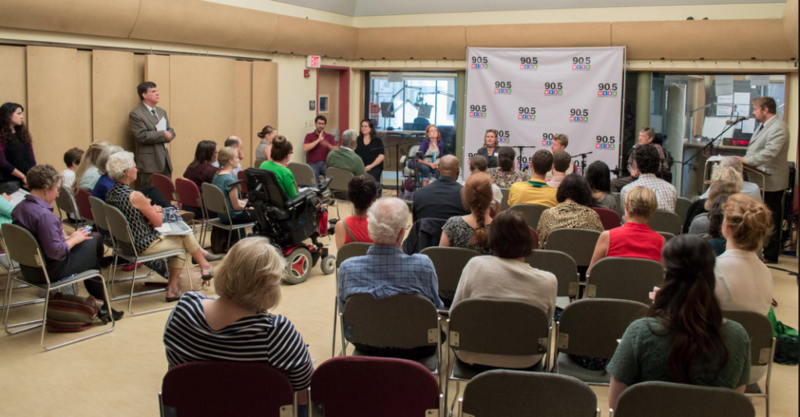 She, along with Pittsburgh Accessibility Meetup co-organizer Gabriel McMorland, agreed that young people with disabilities were able to benefit from advances both in technology and accommodations, but many had lost their ability to advocate for themselves. McMorland, who is blind, cited the Internet as a tool with the potential to further level the playing field for young people with disabilities and asked both companies to make the choice to create accessible products and individuals to speak up and campaign for their rights. Mary Hartley is Lead Consultant, Policy and Advocacy for the United Way of Allegheny County’s ’21 and Able’ effort to streamline service systems for young people with disabilities. She also has a 15-year-old son on the Autism spectrum. Hartley believes visibility in the community through employment will reduce the stigma associated with people with disabilities. Through her work at the United Way and her experience as a parent, she says the ADA has allowed many people to “come out,” and that individuals should be proud of what they’ve been given, even if they have a disability. The panelists explained that one of the biggest challenges with the ADA was that it is a complaint-driven legislation and individuals with disabilities feel pressured when they have to advocate for themselves. Badger recommends that people with disabilities make their presence known by being customers and visible members of the community. Looking to the future of the ADA, the panelists praise the progress in accessibility throughout the last 25 years and also urge changes to employment, civic engagement and social attitudes.